Tippi Toes Dance Company cheerfully provides children with a fun, positive and nurturing environment so they are able to experience the joys of dance, self-expression and movement. Classes are specifically designed to develop motor skills and body awareness while enhancing each child's self-esteem. 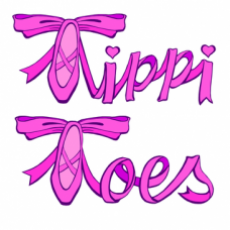 Tippi Toes Dance Company classes have a remarkable impact on social and developmental growth. Our dance classes fuel and develop the imagination, critical thinking and sharpen both cognitive and creative skills. Open Enrollment throughout the year--it's never too late to join! All classes are $50 per month and a $35 annual registration fee due at enrollment. Sibling discounts are available for monthly tuition and annual registration.